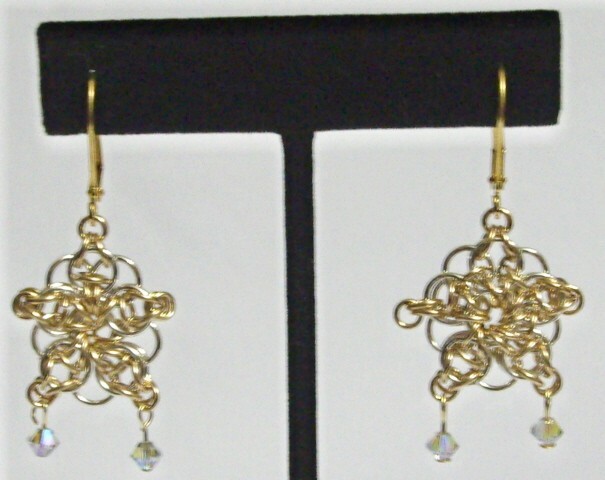 The Snowflake Earrings are truly a beautiful pair of two tone earrings. They look great alone or with their companion piece of the Snowflake Pendant found in the Necklace kit section of the website. They are light and easy to wear. This is an intermediate weave. The crystals are not supplied in the kit. Sterling silver leverback earring findings are included in the kit.